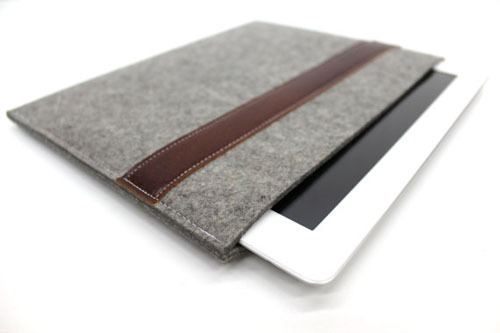 We all love our laptops, iPads and Kindles which is why we need to protect them. Why go for something basic when we can have something unique and handcrafted? 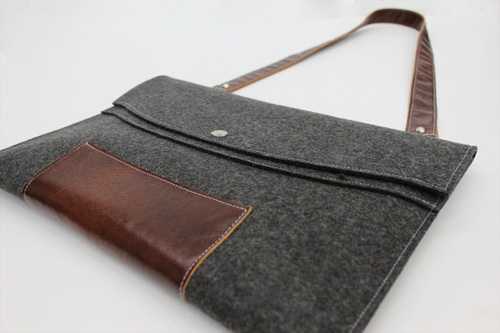 These MacBook Pro cases feature German merino wool felt, a leather handhold, a small pocket for accessories and a chrome snap closure. Christa finds much of her inspiration from architecture, as the above Baroque cases were inspired by the fluid forms and curves of the Italian Baroque period. These pretty and practical tote bags safely encase all iPads, the 11" or 13" MacBook Air and Pro. 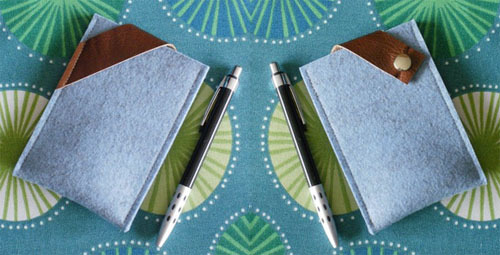 Christa, "The outside pocket is made for fast access to your cell phone and the inside pocket is perfect for small items like pens, glasses and lip gloss." 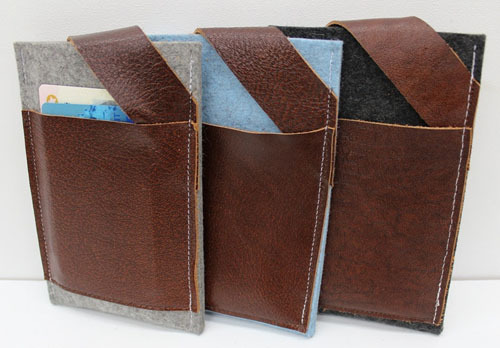 These very stylish and affordable ($32) iPhone sleeves are also handy wallets. I really like her iPhone cases in wool and leather. As Christa shares, "Wool felt is a biodegradable and renewable material, water resistant and self extinguishing." In their simplicity lies their appeal. See all of Christa's creations here. And feel free to email her if you have specific dimensions for your favorite gadget. And if you'd like one of her pretty cases for yourself or as a holiday gift, Christa is offering Sweet Peach readers a 15% discount! Just enter Sweetpeach15 upon checkout. Thank you Christa!